I recently had the pleasure of interviewing Judge Antônio A. Cançado Trindade (right) of the International Court of Justice at my home institution, the University of Oslo in Norway. 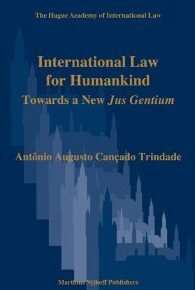 Cançado Trindade recently published a book titled International Law for Humankind: Towards a New Jus Gentium. 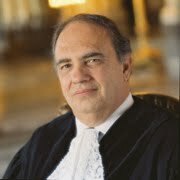 It is based on the General Course on Public International Law that he delivered at the Hague Academy of International Law. This intriguing volume is an exploration of how the needs and aspirations of humankind can be fulfilled by law, rather than by the discretionary use of force, in the pursuit of the realization of justice. He explores the notion of a universal juridical conscience as a source which promotes the evolution of public international law. He discusses the limitations of positivism and the misapplication of the rule of state consent in practice. Further, he takes issue with compartmentalized approaches to international state responsibility vs. international criminal responsibility of individuals. Cançado Trindade, who has been a Public International Law professor in Brazil since the 1970s, favors an expansive view of principles such as humanity, prevention, sustainable development, precaution, and non-refoulement. Finally, he calls for recognition of a right to peace. In our interview, Cançado Trindade openly discussed how his experience at the Inter-American Court of Human Rights, where he served as President from 1999 to 2003, shaped his thinking and influenced his reasoning in case law. He also reflected upon various decisions at the ICJ, where he's been a judge since 2009. Cases discussed included Georgia v. Russian Federation, the Pulp Mills Case (Argentina v. Uruguay), and Germany v. Italy. A video of his engaging, thought-provoking insights regarding the development of public international law is available here.